Consider these easy smoothie recipes as a cure for the déjà vu you get each time you throw spinach, strawberries, and protein powder into the blender. Sure, it takes a little longer to use a recipe. But if you shake up your routine, you’ll start to actually look forward to sipping your breakfast. Plus, with these easy smoothie recipes, you can tailor your blend to what your body really needs in a particular moment. Make the gut health-boosting blend when you’re feeling bloated, for example. Make the protein-packed post-workout smoothie after a weightlifting class at the gym. Now, all you need are some pretty straws so you can capture your smoothie skills on Instagram. The protein powder-chocolate milk-peanut butter combo serves two purposes. One: It delivers a ton of protein for muscle-building after an intense sweat session. Two: It tastes amazing. 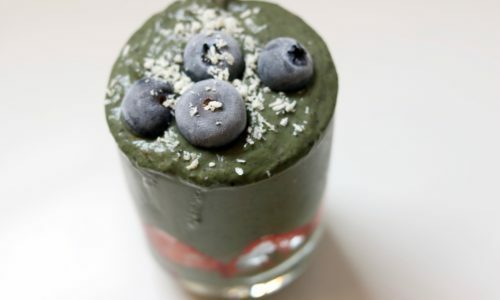 Bonus: You’ll get an antioxidant infusion thanks to the blueberries and chocolate. Smoothies can be seasonal, too. Tap fall and winter flavors like warming cinnamon with this blend while benefiting from nutrients in squash like vitamins A, C, and K, fiber, and carotenoids. Great gut health in a glass? Yes, please. Kefir delivers probiotics while avocado provides healthy fats and fiber. Talk about a balanced meal. This smoothie’s got everything: fruits, veggies, healthy fats, protein, and fiber. It might as well take a bow. Oh, so rich and so creamy! Greek yogurt provides protein and probiotics, while antioxidant- and flavor-rich spices like cinnamon, cardamom, and nutmeg complement the apple. Veggies add so much nutritional value with minimal calories—and this blend includes some you don’t normally think of throwing in your Nutribullet, like zucchini and cauliflower. It’s also filled with tons of fiber, protein, and healthy fat, and is sure to keep you full all morning long. For days when you’d rather be at the beach (every day? ), make this to trick your taste buds into thinking you’re there. It includes summery flavors like peach, strawberry, and pomegranate, fruits that are also filled with vitamins and antioxidants. Sometimes you have a little too much fun (it happens!). This hydrating, cleansing, and incredibly nutrient-dense blend is the perfect antidote. Just like one of the benefits of a bowl of oatmeal is that it’s really satiating, oats make your smoothie thicker, heartier, and more satisfying. Suddenly, your blended beverage really fills you up, so you’re not hungry long before lunchtime. Your Vitamix is sick of spinach and kale, trust us. This recipe is a delicious way to switch up your green smoothie game by swapping in broccoli rabe. Yerba mate is the secret pick-me-up ingredient and this blend also provides plenty of healthy fats, for brainpower that will keep you productive all day long. Sugar’s bad for your bod all of the time, but blend it in a beverage and it gets into your bloodstream even faster, leading to inevitable spikes (and subsequent crashes). That’s no problemo, here, since the only source is what occurs naturally in the berries. Plus, we add lots of greens, healthy fats, and plenty of protein, making sugar a tiny footnote among nutrients.